1. True or false? A synthetic gemstone is a fake gemstone. False! 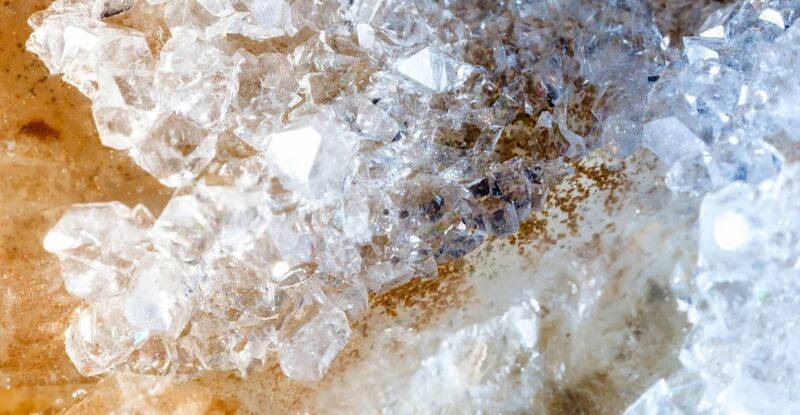 Many people often confuse the word synthetic as meaning “not real.” But when it comes to gemstones, the natural ones dug from the earth and the ones that are made in a laboratory have the exact same structural, chemical, and optical properties. As the Gemological Institute of America explains, gemstones are grown in the lab using chemicals that, under proper conditions, arrange themselves into crystals — in the exact same way they form in nature. The only differences between the two are whose hands created them–Mother Nature’s or a human’s–and the time it took to form (eons in nature, much less in the lab). Synthetic gemstones, therefore, are not mere imitations; they’re the real thing. And they come with a built-in advantage over natural stones, in that you can be 100% sure no human suffering was involved in their origins. Here are four more myths we’re happy to bust. 2. True or false? Moissanites are “fake” diamonds. False! Moissanite is a rare natural mineral, composed of silicon carbide, that was discovered in the late 1890s by Nobel Prize-winning scientist Dr. Henri Moissan. It took almost another 100 years for scientists to perfect the growing process of silicon carbide crystals in the lab. Moissanites, like the ones Love & Promise carries from Charles & ColvardⓇ, are the most popular alternative for socially conscious consumers to a naturally occurring diamond. In hardness (9.25-9.5 on the Mohs scale to the diamond’s 10), clarity, and color, the moissanite is the number one rival to a natural diamond — and has the distinct advantage of being 100% conflict-free. Browse our Rosados Box collection for the best moissanite rings on the market! 3. True or false? Cubic zirconia is a human-made diamond. False! Cubic zirconia is an artificial gem composed of zirconium oxide (a chemical compound), whereas a diamond, whether created in the lab or in nature, is pure crystallized carbon. Love & Promise Jewelers carries ONLY genuine synthetic and natural, conflict-free gemstones. You’ll NEVER find anything artificial in our jewelry. 4. True or false? If one breathes on a gemstone and it fogs, it must be synthetic. False! As our friends at jewellermagazine.com explain, this tall tale, known as the “breath test,” is based on the theory that synthetic gemstones have a lower thermal conductivity than a natural gemstone and therefore will show condensation (fog) when breathed on. But this is a totally unreliable method for determining whether a gemstone was dug from the earth or made in a lab. Synthetic diamonds, moissanites, and sapphires have the same high thermal conductivity as a natural diamond–meaning they won’t fog up. In fact, it’s virtually impossible to tell with the naked eye the difference between most synthetic and natural gemstones. 5. True or false? A bigger stone is a better stone. False! When it comes to gemstones, size alone is not a measure of quality, only price (larger = more expensive). 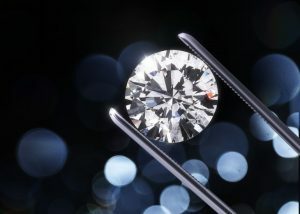 The factors that you want to pay attention to in determining the quality of a diamond or other precious gem — whether natural or synthetic — are color, clarity, cut, and carat. Learn more about the 4 C’s. At Love & Promise Jewelers, we hand-select every single gemstone in our collections to ensure that whatever your budget and taste, you will have only the highest quality stones on the market to choose from.